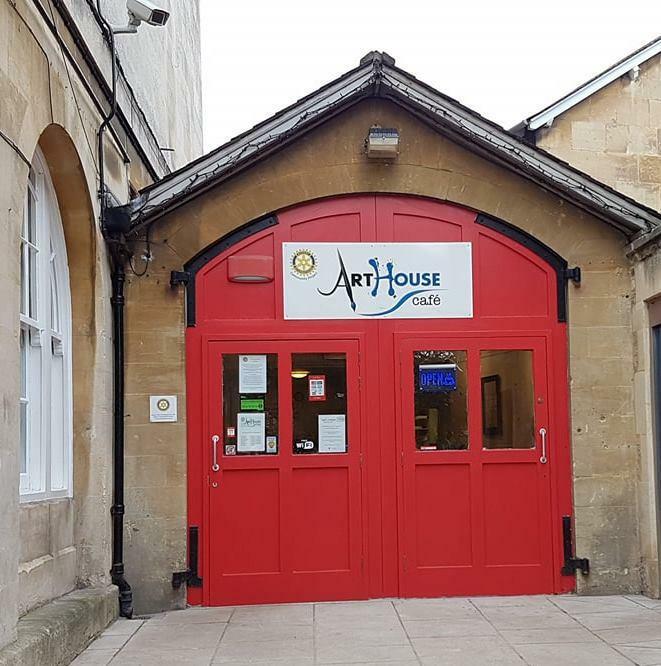 The Art House Cafe re-opened in Melksham in July 2011 - but with some major differences - the lease was taken up by the Rotary Club of Melksham who run it to support local charities and has currently raised over £100,000 for charities. It is likely that no other Rotary Club in this country has taken on such a venture. Also, under the direction of Rotarian Norman Drake, the premises have been completely redecorated and the kitchen refurbished. 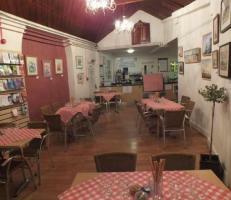 The Cafe serves a 'special of the day', breakfast baps, omelettes and jacket potatoes, which are all freshly prepared, plus a range of home-made cakes and freshly brewed teas and coffees. 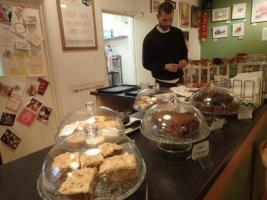 The cafe's popular gluten free choices are also available. 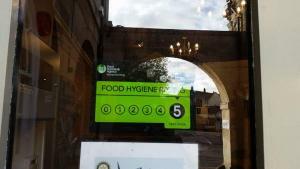 Why not make a visit to Melksham and see for yourself? 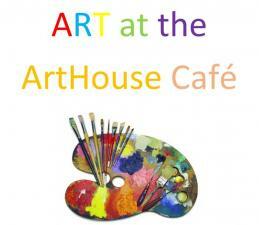 The Art House Cafe is centrally placed, right next to the Town Hall in the Market Place, with opening hours from 9.30am - 3.00pm, Monday to Saturday. Whilst you enjoy your refreshments you can also enjoy a variety of exhibitions on show from local artists with the aim of regular rotations. The Club use the Cafe as their base for meetings and fund-raising activities and would be delighted to welcome visiting Rotarians and especially potential new members. 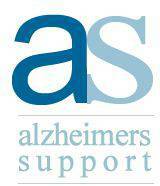 The Cafe relies on the support of its dedicated team of volunteers to keep this charity project running succesfully. Norman Drake is particularly keen to enrol more volunteers to help in the cafe and looks forward to hearing from anyone who could spare a few hours in the week. The Club are particularly grateful to Sue and Ian Drew, the former leaseholders of the cafe, for their wonderful generosity, lending equipment and offering constant guidance and goodwill. This exciting venture has taken the Rotary Club of Melksham into a new era, strengthening its links with the Town who will continue to benefit from the Club's fund-raising activities. 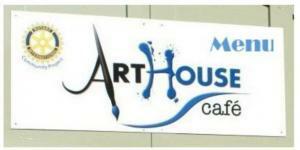 The ArtHouse café is open from Monday - Saturday 9.30am - 3pm, the cafe is closed on all bank holidays.